A new iPhone 6 case is sure to make you the most useful person at the party – but it's not exactly a looker. You certainly sacrifice looks for extra party functionality. ZVE have made a lot of cases for the iPhone 6, but this is arguably the most functional you can get for last year's Apple phone. 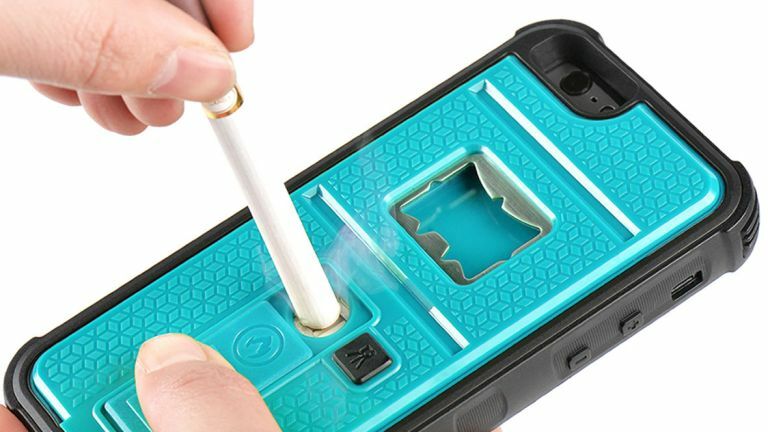 As well as being a shock-proof case (that means it's going to survive most drops), it also comes with an in-built cigarette lighter on the back, a bottle opener and a camera tripod connector. It's made for the adventurous types as it'll also connect to a bike's handlebars – but it still means you're the go to person at the party for those who forgot their lighters or a bottle opener. This case isn't going to suit all with its chunky looks but it is going to make you a big part of the party. Next time there's a case made exactly for party animals we've got our fingers crossed it'll include a breathliser for when someone tries to drive.